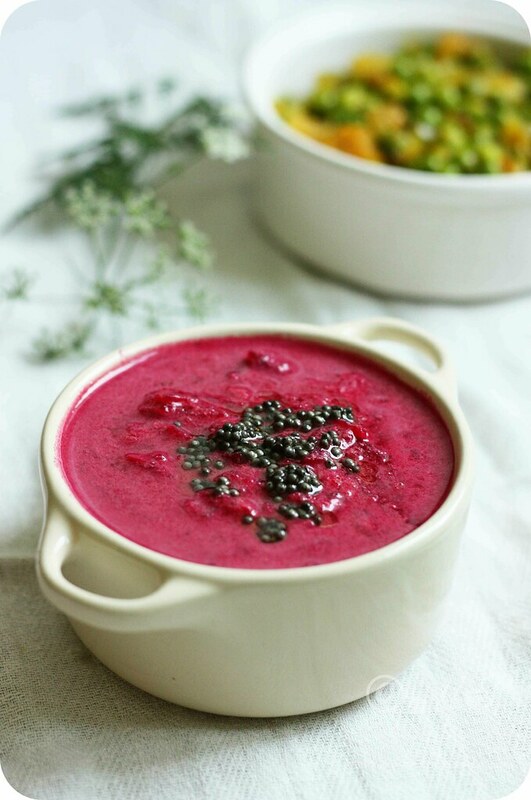 As we are being pampered and spoiled rotten with amazing food that Amma whips up every single day, I thought of sharing this easy recipe of Beetroot Pachadi with my faithful readers who keep this blog alive. :) Pachadi is a South Indian side dish similar to Raitas and are usually served chilled or at room temperature. The freshly grated coconut is ground to smooth paste along with ginger, green chillies, and cumin seeds and yogurt and is mixed with variety of raw or cooked vegetables. Growing up I was a big fan of Cucumber Pachadi but this Beetroot Pachadi is the current favourite of my family. 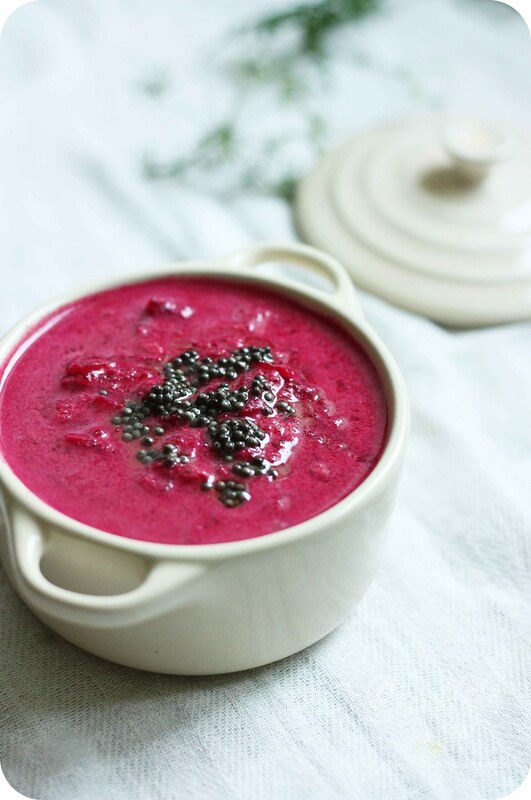 The gorgeous red beets are grated and then cooked for few minutes and then mixed with a coconut-yogurt paste to get this bright pink hued Beetroot Pachadi. 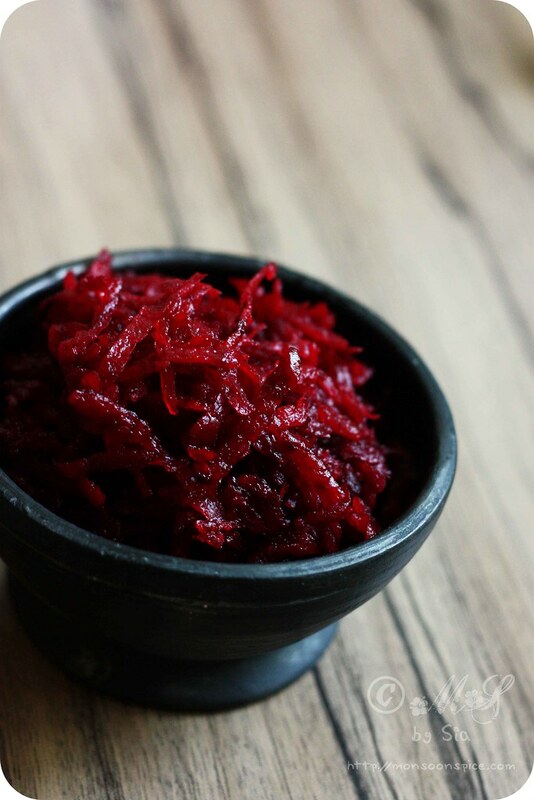 This Beetroot Pachadi is quite mild and has a light sweet taste to it due to the sweetness of beetroots and coconut used. While the yogurt used add little sour note, the green chillies and ginger adds mild spice kick to it. 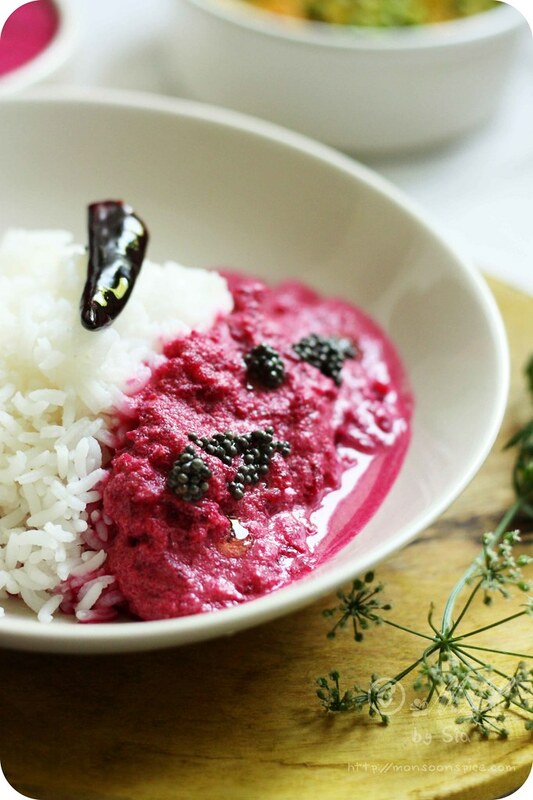 Give this Beetroot Pachadi a try if you are looking for something different to serve with rice. This Beetroot Pachadi can also be served with dosa, idli or chapatti or can be eaten on its own as a light meal. Before proceeding to the recipe part I want to take a moment and wish all my blog readers A Very Happy and Prosperous New Year! May the New Year bring all the joy, happiness and everything that you wish for! Cook grated beetroots in 1 cup of water till it turns soft. It takes just around 4-5 minutes to cook the beetroot. Once the beetroot is cooked, turn off the flame and let it cool down to room temperature. While beetroot is getting cooked, grind grated coconut, green chillies, cumin seeds and ginger to smooth paste by adding little water. Keep it aside until needed. 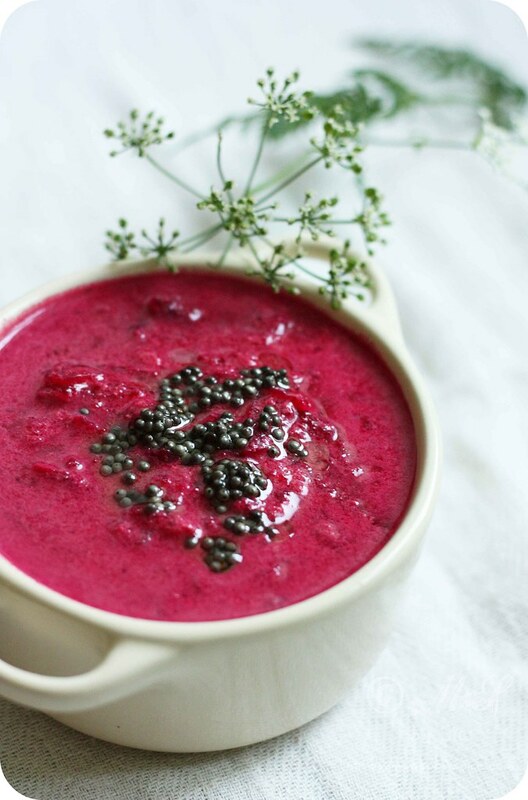 Mix this ground coconut paste, yogurt and salt to taste to cooked and cooled beetroot. Heat oil in a tadka pan and add mustard seeds and dried red chilli to it. 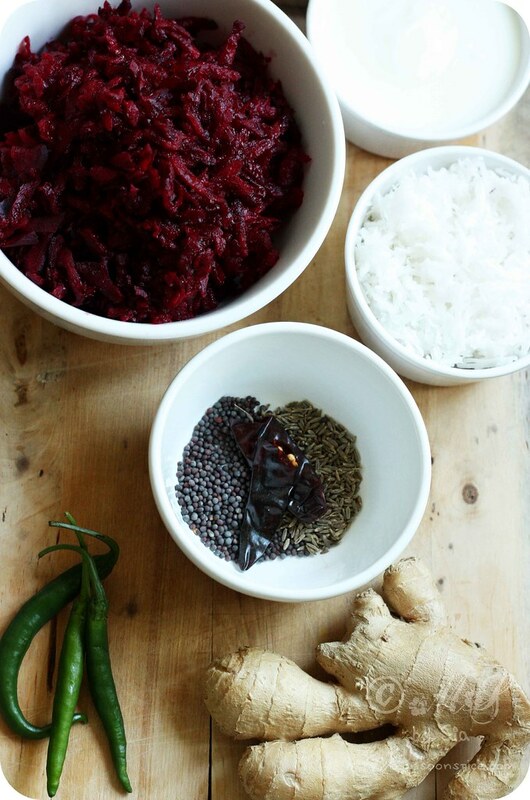 Once mustard seeds start to sizzle and pop, transfer it to Beetroot Pachadi and mix them well. 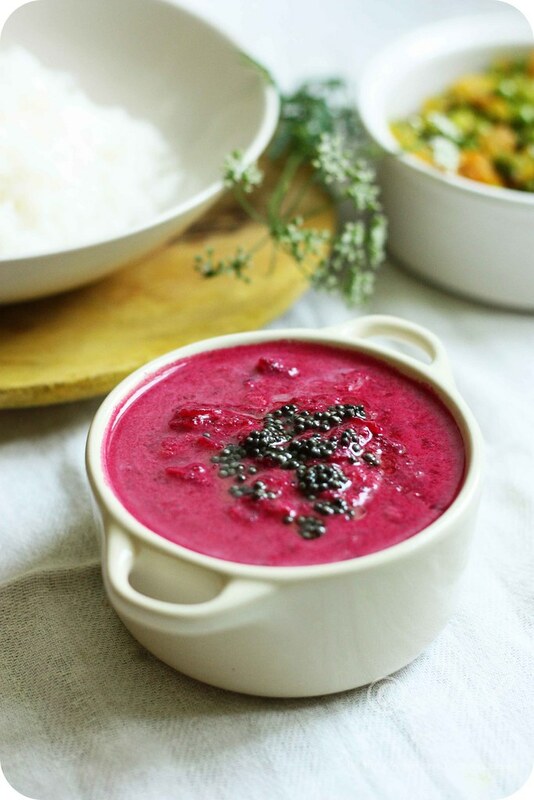 You can serve this delicious Beetroot Pachadi at room temperature or chilled with rice and enjoy! 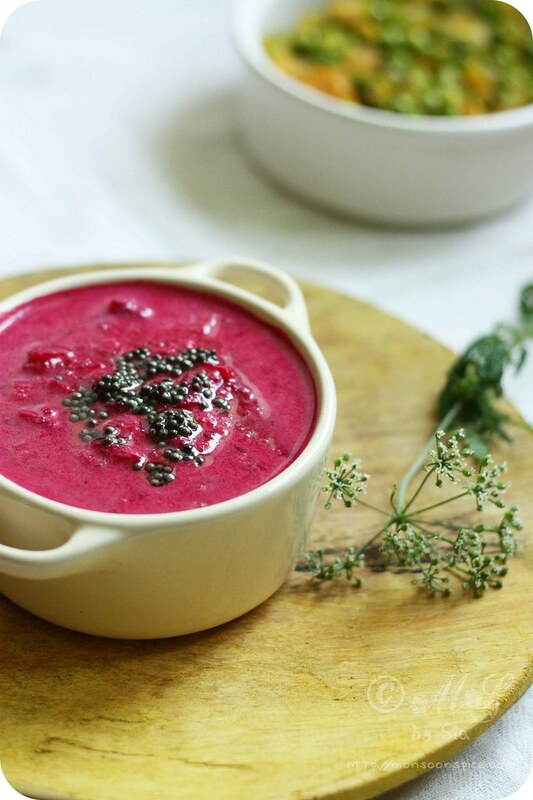 This Beetroot Pachadi is quite mild and has a light sweet taste to it due to the sweetness of beetroots and coconut used. 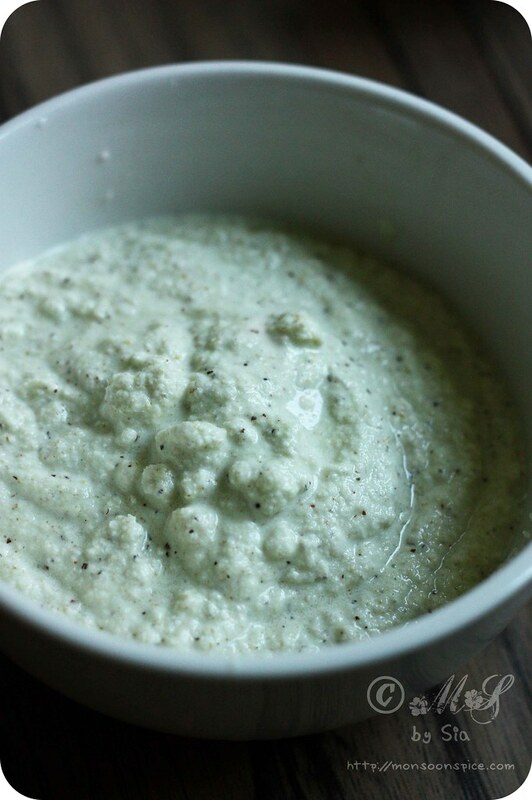 While the yogurt used add little sour note, the green chillies and ginger adds mild spice kick to it. This Beetroot Pachadi can also be served with dosa, idli or chapatti or can be eaten on its own as a light meal. Oh, that looks good! A dish for me. Ah! This sounds like a special and unique winter recipe! With the benefits of beetroot. Very beautiful Sia. 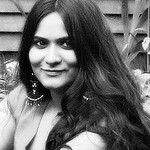 Here wishing you many more wonderful posts!